WebElf is a useful application that lets you remotely access your computer via an Internet connection and use macros to perform certain operations and control your smart home appliances. Besides remote computer access, WebElf can also create and run a web server which can be used to establish a remote connection to your IP address. You can set the program to send you email notifications every time an incoming connection is detected. With this application you can easily control your smart home appliances. For example, you can set your heating system’s temperature level, control your home’s lighting system and open your garage’s electrical doors. 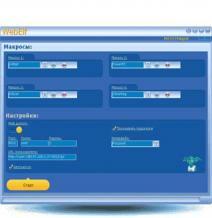 Other useful capabilities provided by WebElf including automating microcontrollers, sensors and other devices.